When do I List my home to sell it the quickest? We want to sell your home in Union County. 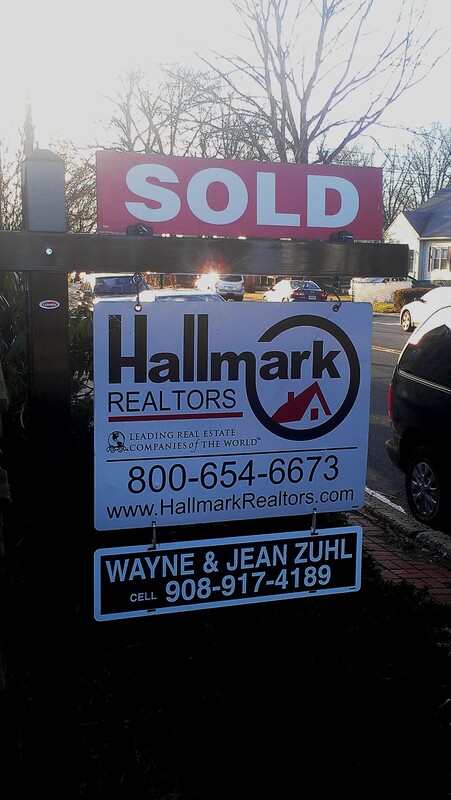 We’ve read your market trends posts and we know that some towns sell faster than others. But when should we list our home so that it sells the quickest? Does WHEN we LIST our home affect how QUICKLY we SELL our home? Some people need to sell their home fast – maybe they need the cash for an emergency, or maybe they’ve been relocated. They need to price the home low and market aggressively. But if you just want to minimize the inconvenience of having you home on the market for a long time, then timing is very important. When you list your home absolutely affects how quickly you sell your home! When we look at the data from the past several years, we see that the average time a home spends on the market varies from month to month. 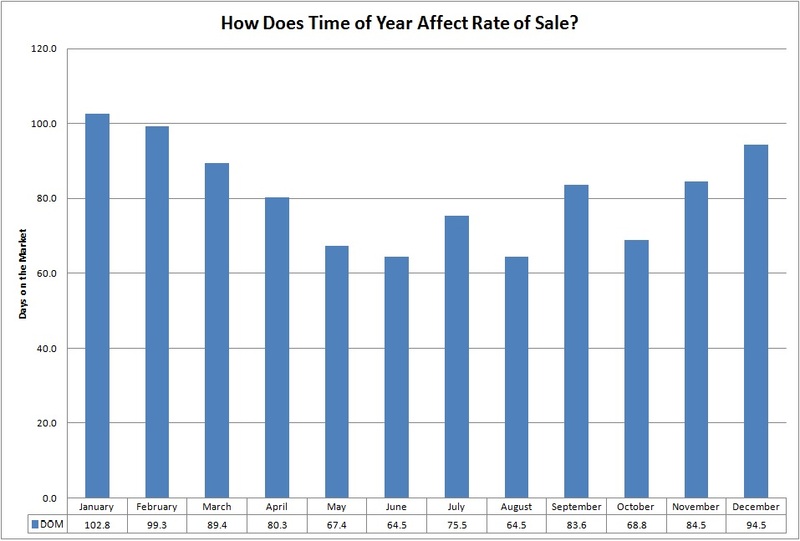 It shows the length of time it took to sell a home that sold in each month of the year. Some months have shorter Days on Market than others – for example, the average home that sold in May was sold after 67.4 days on the market. That means it was listed in March. The average home that sold in October was sold after 68.8 days on the market – that means it was listed in August. Other months have longer Days on Market. The average home that sold in January over the last several years was sold after 102.8 days on the market – that means it was listed in September. Homes that sold in February were listed 99.3 days before February – October. Having said that, there seems to be a correlation between the DAY of the week that you list your home and how quickly it sells. Homes listed on Fridays sell quicker than homes listed any other day of the week – perhaps because listing on Friday gives your agent enough time to get the home marketed befoer Sunday which is the busiest day for home shopping. Homes listed on Tuesdays get the most web views – on-line home buyers seem to hit the internet mid-week. Should You List with a Realtor? First, if there are any repairs necessary in your home, make them now, before you list the home. Things like leaky plumbing, stained carpet, or broken windows need to be in working condition before you show your home. Educate yourself on the home selling process. Here is a link to a free video called “Preparing your home to sell.” It’s filled with information that can help you make decisions about what to do. The next step is to choose a professional to market your home. Most sellers hire the first agent they interview, while others continue looking. You want to choose an agent that you trust because they will be your representative in negotiations in what may be the biggest financial decision you ever make. You also want to make sure that your agent has a vibrant marketing plan. Price your home properly. Your real estate agent can help you determine the appropriate price by using a Comparative Marketing Analysis (CMA). You’ll want to sell it slightly below market value to generate as much interest as possible in the property. Of course, once your home is on the market, you’ve got to keep it immaculately clean and make it available for potential buyers to see it.